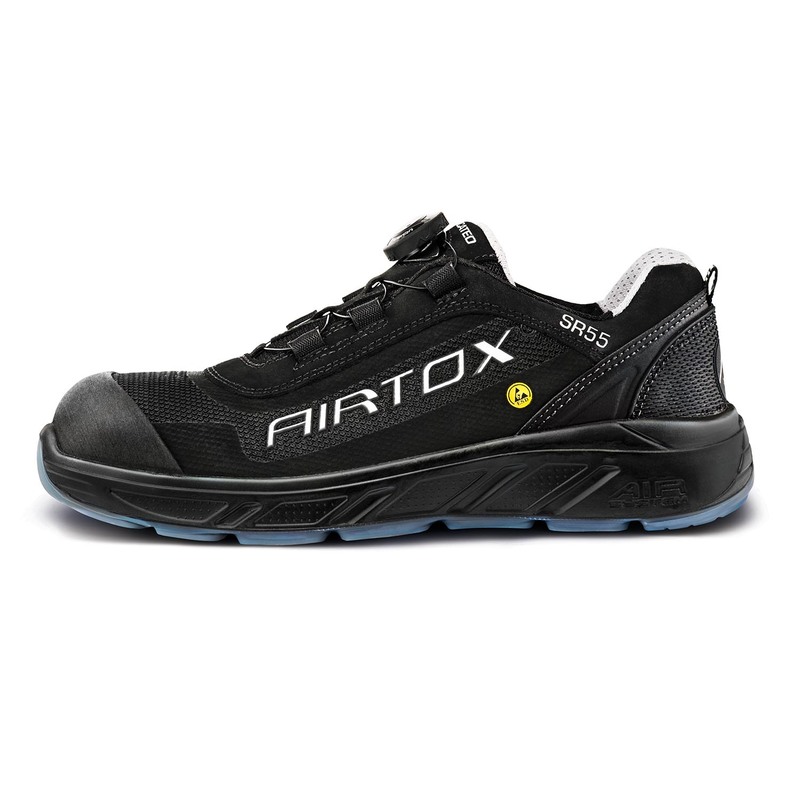 The AIRTOX SR55 safety shoes combine all the best features from the AIRTOX range in a sleek, Scandinavian design. 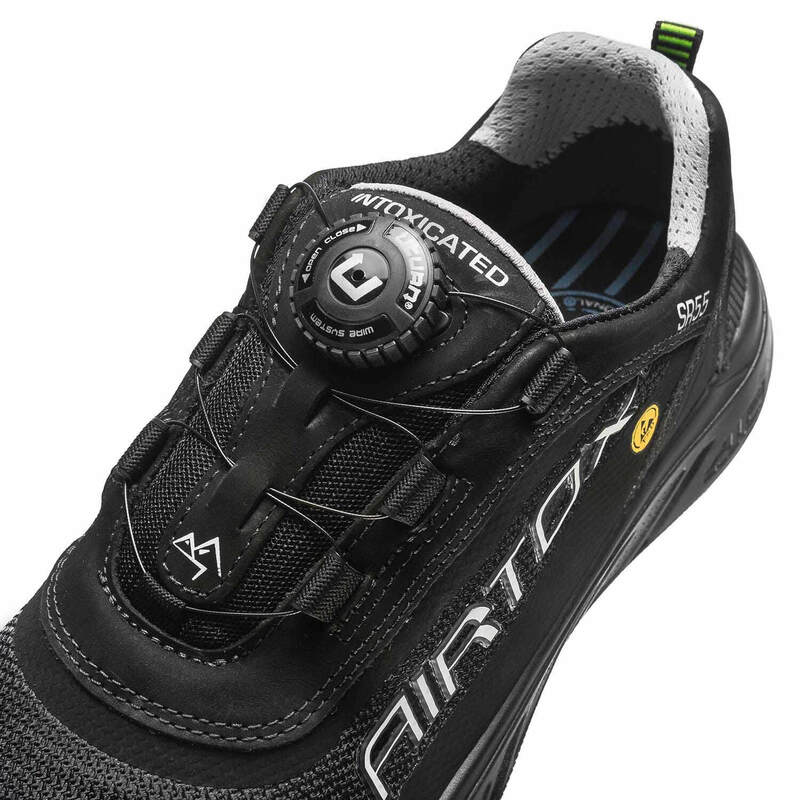 The SR55 is the safety shoe that feels and looks like your best trainers, and the UTURN® Lacing System ensures easy and secure lacing on the entire foot. How will the SR55 safety shoes keep your feet safe? A thin layer of Tech-Fiber anti-penetration protects your feet from nails and other sharp objects while keeping the shoe highly flexible and lightweight. A thin yet highly durable layer of transparent TPU ensures a fuel-, acid and heat (150oC) resistant outsole that doesn’t leave black marks on flooring etc. The NEO-steel toe cap will keep your toes safe from heavy objects and similar dangers encountered when working. A defining feature of the SR55 is the UTURN® wire-based lacing system which tightens and loosens the shoe by the simple turn of the UTURN® wheel. 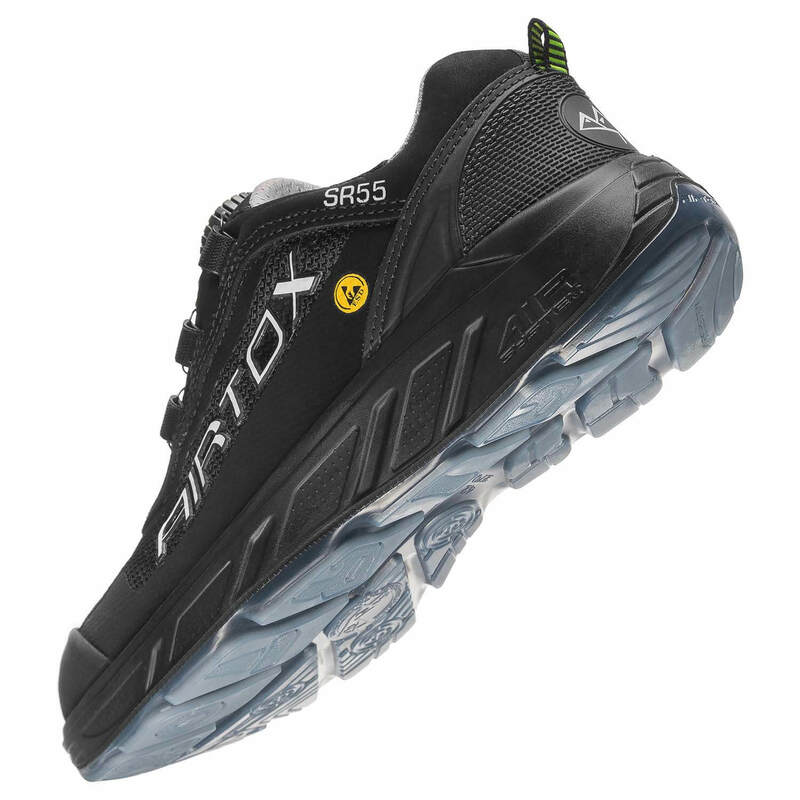 SR55 safety shoes are part of the AIRTOX S-SERIES; a range of safety shoes featuring the famous AIR-system midsole which keeps your shoe extremely flexible and shock absorbent at the same time. 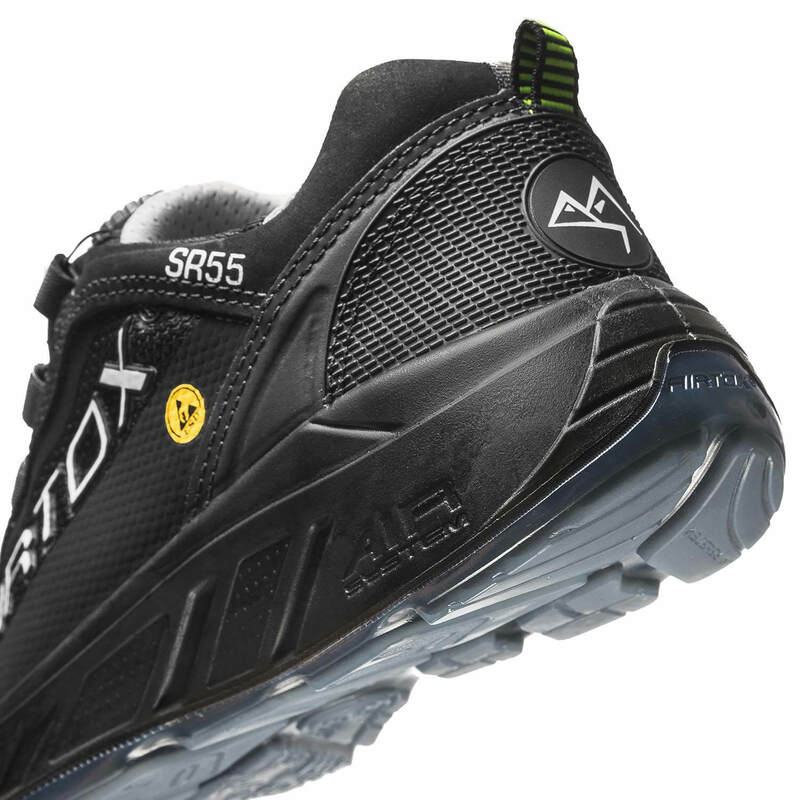 To create a highly breathable safety shoe, the SR55 upper is made from ventilating CORDURA textile. 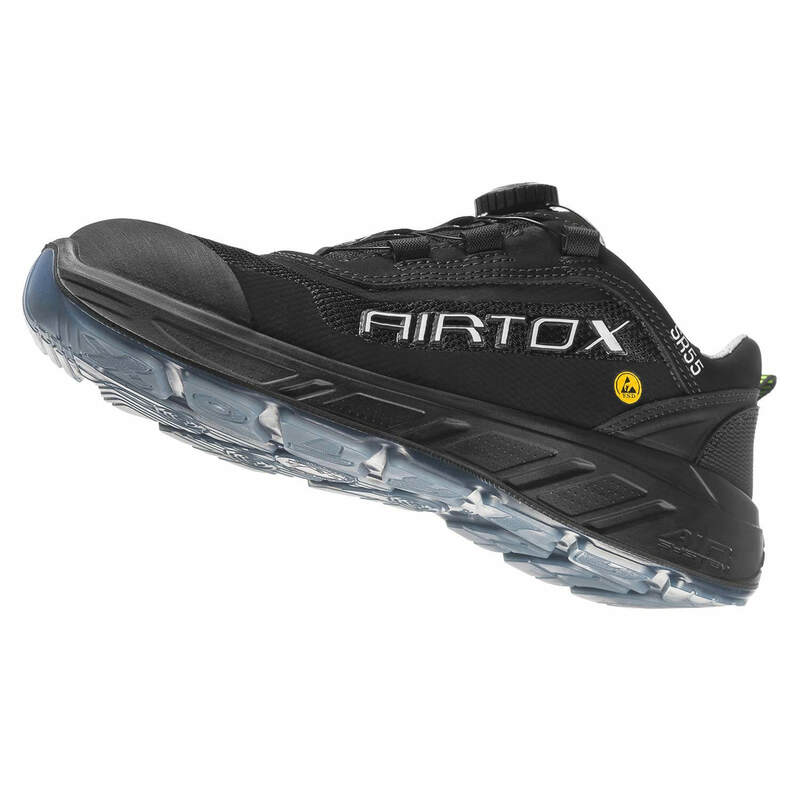 In our safety shoes care guide you can find detailed information on how to take care of your AIRTOX shoes.